Happy, motivated, multi-talented and multi-lingual, CIS's 1,500 students come from over 1,000 families and diverse backgrounds. While about two-thirds of students are ethnically Chinese, they represent some two dozen nationalities with family roots in many parts of the world. The Primary school is made up of over 600 students aged 4 to 11 in Reception to Year 6, while the Secondary school is made up of over 800 students aged 11 to 18 in Years 7 to 13. Students across the school find unity in a single mission embodied in shared values, a shared campus, common day structure and linked curriculum. 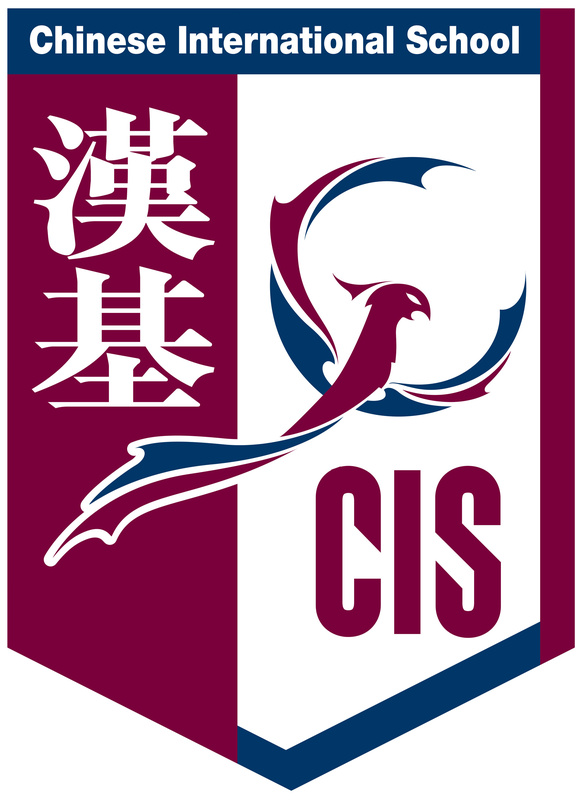 The Phoenix is the emblem of CIS school spirit. In general, the CIS school day starts just before 8am and ends at 3pm (students in Reception have a half-day programme). All students, except those in Years 12 and 13, wear a uniform. The uniform for students in Years 1 through 11 consists of a white polo shirt with the school logo, plus blue pants or skirt. Students in Reception wear a red T-shirt and blue shorts. Serving as chief representatives of the student body are the Head Boy and Head Girl, who are selected annually from among applicants from the rising Year 13 class. The Head Boy and Head Girl are supported in their roles by an elected Secondary Student Council. In the Primary school, students in Years 3 through 6 elect a Primary Student Council. The whole school convenes three times a year for Mid-Autumn, Christmas and Chinese New Year assemblies. Other smaller assemblies are held throughout the year. The school is attentive to creating an environment of mutual care and respect that provides age-appropriate support and guidance. This begins with Primary homeroom teachers and Secondary advisors who are charged with looking out for the broad welfare of their students and promoting shared values. In Primary, the homeroom - 24 classmates (14-15 for Reception students), classroom and pair of teachers - changes every school year. Students learn how to conduct themselves in accordance with the "3Rs" of a learning community - "respect", "responsibility" and "reflection" - and how to incorporate the Confucian values of 仁 (Empathy, Kindness), 義 (Fairness, Justice), 禮 (Propriety, Good Manners), 智 (Wisdom, Right Judgement), 信 (Integrity, Honesty) into their daily lives. In Secondary each student’s “home base” is an advisory group of about 10-12 students that meets several times per cycle with their advisor, who is a teacher or other member of staff. Advisors, together with the Student Affairs team made up of year-level heads, also help to deliver an age-appropriate life skills programme called Choices. The advisory group remains the same throughout the Secondary years. Learning support is available to all students, and counselling support is available to both students and families. Referral for learning enhancement assistance in the Primary years is initiated by teachers and/or parents. In the case of learning support in the Secondary years, and other forms of counselling, students are encouraged to approach counsellors directly and may also be referred by teachers or parents; students and parents are also welcome to seek support as a family. A strong emphasis is placed on early intervention and on equipping students and their families with skills that will enhance a student's independence, resilience and flourishing. Please also read about Positive Education at CIS. Committed to the development of the whole person, CIS offers a varied co-curricular activities (CCA) programme. CIS aims to create a positive environment in which students can exercise, gain new skills and interests, and have fun. Activities cover a broad range of areas and may be offered in English or Chinese. The programme draws on the expertise of both school staff and outside specialist providers. The majority of activities take place after the main school day, and students may sign up for the late bus service to take them home. Chess, Chinese Dance, Chinese Painting, Hip Hop, or Junior Orchestra. Chinese Music Ensemble, Debating, Global Issues Group, Model United Nations, Orchestra, Robotics, "Xiao Hua" Magazine or Yearbook. CIS values the arts to help students become more thoughtful, communicative individuals. The arts are a required part of the curriculum through Year 11 and a welcome elective chosen by nearly half of Year 12 and 13 students. Students also have many co-curricular opportunities to pursue the arts. The visual arts exhibition mounted by Year 13 students as part of the IB Diploma Programme is a much-anticipated event typically involving a wide variety of media, including sculpture, photography and video. Music and drama performances abound throughout the year, ranging from informal lunchtime recitals to a biannual, bilingual Primary production. Visit the CIS Sports website! Competitive and non-competitive options exist both within the regular physical education (PE) curriculum and as after-school activities. Primary students typically have three PE classes per week, and Secondary students two classes per week. All students take part in annual sports days, which emphasise participation and often incorporate house competition or a service element. As students reach the upper Primary or Secondary years, they have the choice of competing in additional sports, ranging from Fencing to Sailing. CIS fields over sixty teams and continues to build a reputation as a force to be reckoned with, competing mainly through the Hong Kong School Sports Federation (HKSSF) and International Schools Sports Federation Hong Kong (ISSFHK). CIS students of every age learn the importance of contributing to the various communities to which they belong. In the Primary school, classroom and out-of-classroom activities involve students on an ongoing basis with the projects of two charities assisting families in rural China (Heifer International and HOPE worldwide). At the Secondary level, the emphasis is on local, active and sustained efforts. Whether undertaken on an individual or year-level basis, community service makes up an important part of the assessed curriculum, although students typically engage in voluntary activities far beyond their academic requirements. The Secondary school's annual "China Experience Programme" (Years 7-9) and "Service & Action Week" (Years 10-12) trips all incorporate a service component.